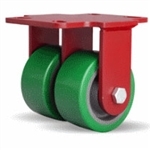 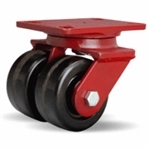 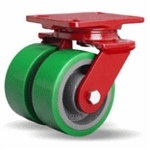 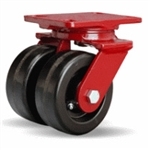 Heavy duty industrial dual wheel casters offer the ability to nearly double the weight capacity of similar single wheel casters. 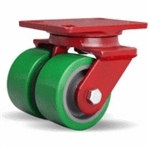 Maneuverability is enhanced by having the dual wheel system. 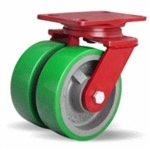 Wheels also available in heavier duty Polyurethane, Nylon, and Phenolic. 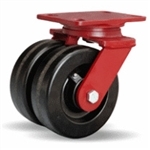 For more options, including brakes, wheel compositions, and current pricing on custom build casters, please call our facility in West Reading, PA at 1-800-215-8220. 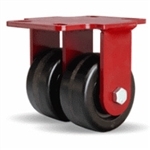 Top plate size: 4-1/2" x 6-1/2"